I received a copy of this book from the publisher for review consideration. All opinions are my own. Still trying to think of something to give as a graduation gift? It can be hard to come up with a thoughtful little something in the middle of college supplies or cash gifts to help ensure a young graduate of high school or college has a smooth transition. Cristina Vanko's Adult-ish, however, might be the perfect thing to fit your need. 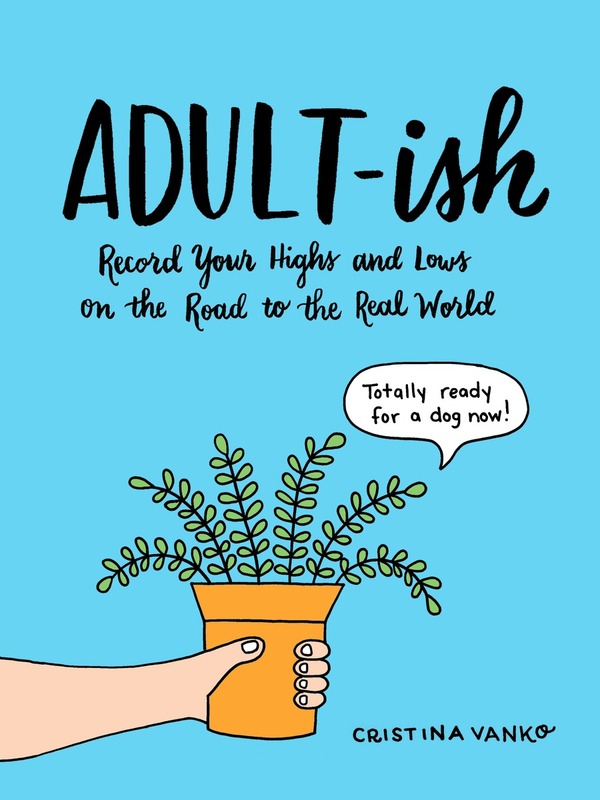 It's a lovely hand-lettered book that invites a new adult to record a variety of life experiences in the process of growing up. 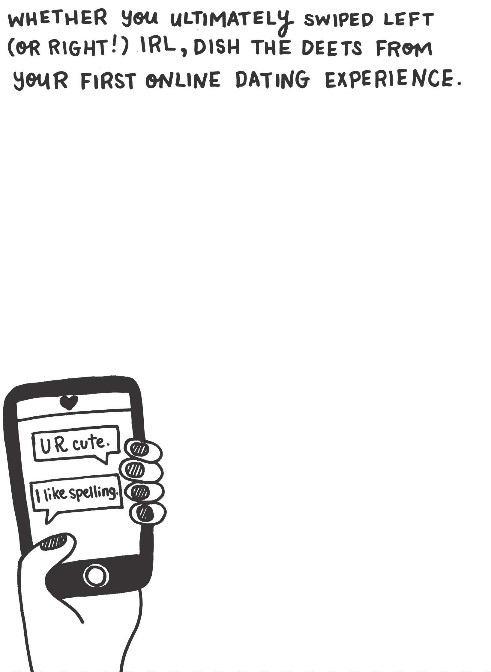 Little illustrations add to the charm, and the book suggests recording not only actual milestones that are more measurable such as "what was your first big move?" but also more emotional moments like the first time you felt vulnerable and memories like making a list of the songs getting you through. For someone really willing to invest the time to record such memories and moments, this book would be the perfect outlet to do so and provide a keepsake that could have a lot of meaning later on. Of course it's possible not everyone would be willing or interested to do so, but giving the book as a gift could encourage them to or spark the idea to be more observational about life growing up. As you can see, it's easy to write a fun growing up experience. The author suggests thinking of this as a baby book for adults. 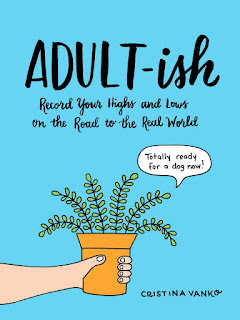 The publisher has kindly offered to provide one copy of Adult-ish for giveaway. Open to residents of the United States, please just fill out the form below. Winner will be notified via email. Giveaway ends June 3, 2017.